If you or a loved one have a physical dependence on alcohol, then you need alcohol detox treatment. Drinking even moderate amounts of alcohol on a daily basis may lead to physical dependency. You will know if you have a physical dependency because you will experience ‘withdrawal symptoms’ if you stop or significantly reduce the amount you are drinking. These symptoms can be fatal, so it is imperative that you do not attempt to stop taking alcohol without expert advice. Rehab HC is here to help you!. One way to get off the alcohol is to gradually reduce the amount you are drinking, which can still be dangerous and very difficult for an alcoholic to do. The only other option you have is to undergo alcohol detox treatment. Alcohol detox is a process overseen by a specialist doctor and administered by medical staff such as a nurse. During this process, an individual will be prescribed medication which essentially replaces the alcohol, to ensure that the person does not experience significant (if any) withdrawal symptoms. In extreme circumstances, alcohol detox can be carried out in a hospital and through local services can be arranged at home, but waiting lists can be long. 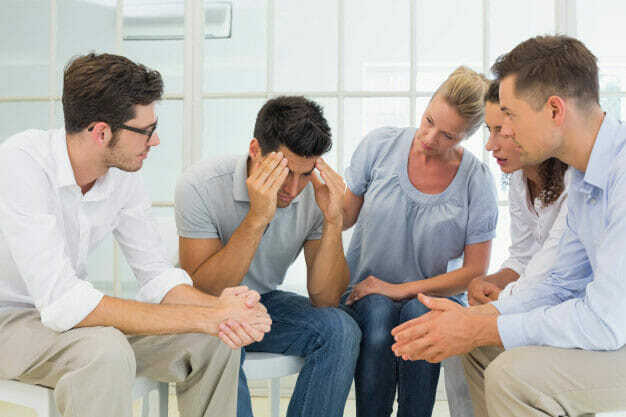 The best place to undergo an alcohol detox is in a residential treatment centre that has a 24-hour staffing to monitor and support you through this process, as well as provide psychological interventions to help you overcome the addiction. Alcoholism is an illness of not only the body but also the mind. Hence, the added benefit of doing an alcohol detox in a residential rehab setting is that you will also receive intensive counselling and psychological support to help you to deal with the underlying issues behind your alcohol problem. If you or someone you know has had multiple alcohol detoxes or has attempted to stop drinking themselves during alcohol dependency, there are increased dangers known as the ‘kindling effect'. "Kindling in alcohol withdrawal" is a problem that can arise following repeated episodes of alcohol withdrawal as shown in the figure below. 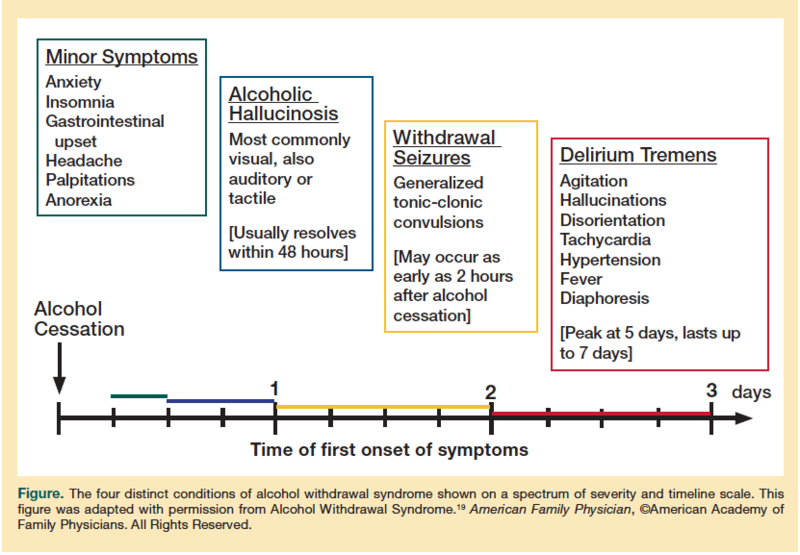 The severity of a person’s withdrawal symptoms may get worse each time they stop drinking and can cause worsening symptoms such as Delirium Tremens (DTs), hallucination and seizures. With each alcohol withdrawal episode, the brain and nervous system become more and more sensitised and the resulting symptoms become more pronounced. If you have had multiple detoxes before and are drinking again, your body may not be able to tolerate many more attempts to detox itself from alcohol, which means you need to seriously invest in a programme which will keep you abstinent from alcohol for good. The alcohol withdrawal treatment programme, therefore, needs to be carefully planned, with close monitoring of its effects, so should be done in an appropriate residential setting for this to happen. Rehab HC can assist you to achieve this, contact us now!. History of previous alcohol detoxification. Alcohol is a Central Nervous System (CNS) suppressant and slows down the functions of the brain and the body. This is why people who drink excessively find it hard to stand upright and slur their speech, as their bodies and brain functioning begin to slow down. If someone drinks on a daily basis this slowed bodily state becomes the norm, so when the body goes without alcohol, brain and bodily functions suddenly ‘come back to life’. This is where withdrawal symptoms begin to ‘kick in’ such as shaking, sweating and at their worst, seizures. The body simply cannot handle the change. During alcohol detox, a doctor will prescribe a medication, usually Chlordiazepoxide (Librium), which works in exactly the same way as alcohol but is far safer to use. The doctor will ‘match’ the amount of medication prescribed to the amount of alcohol used. This helps the body make the transition as alcohol is taken out of the system. This medication is then ‘tapered down’ slowly over the course of 7-12 days. If you undergo an alcohol detox the worst of any withdrawal symptoms will be over within a few days and you should be able to fully function on the detox medication. When you are in a residential setting, if you experience any ongoing symptoms, the staff monitoring you will be able to give to you other medicines to make you feel better. Alongside the detox medication, you will be given Vitamins, as alcoholics often have certain vitamin deficiencies, as well as anti-sickness medication and sleeping tablets to help people get into a good pattern of sleep, otherwise, you would experience poor sleep for some time after stopping alcohol. To assist in this process many Alcohol Detox Centres offer support and counselling during detox. It is important that an alcoholic receives this treatment to minimise the chances of relapse and it is recommended that you engage in a period of residential rehabilitation after the detox to look at the underlying issues behind the addiction and learn how to remain abstinent. It is recommended by the NICE guidelines that medically assisted alcohol detox treatment is supported by psycho-social interventions such as counselling. Rehab Healthcare only works with CQC-approved residential detoxification facilities in the UK, and finding the right one for you will be dependent on a number of factors and your preferences as to the kind of clinic you wish to attend. If going into a residential treatment centre is not possible for you for whatever reason, Rehab Healthcare may be able to arrange a private home detox for you if this is appropriate and safe to do. If you or a loved one needs an alcohol detox, do not hesitate in calling us and one of our Advisors will assist you in finding the right place for you.